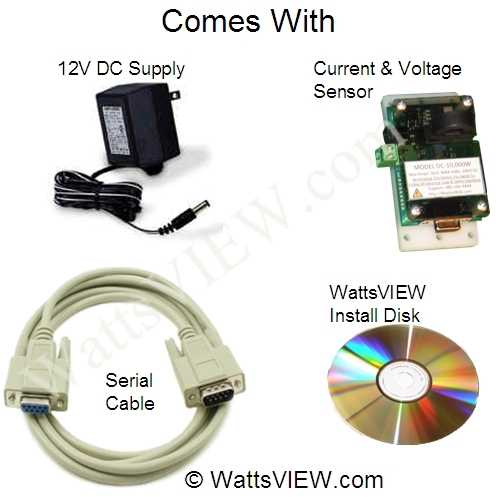 12V DC power supply adapter with 2.5mm power connector that plugs directly into the WattsVIEW sensor. Customized LabVIEW power monitoring and control versions for your application whether it’s for AC or DC monitoring and control. Contact support with your requirements to get price and delivery time. Customized versions can include temperature and pressure monitoring and PID loop control, solid state relay control, power factor calculations, power quality / glitch monitoring, robotics, power cycling, constant power applications. WattsVIEW DC power monitoring software for Windows Or MAC (OSX) monitors and displays and logs real time DC Volts, Amps, Watts, & Kilowatts for solar panels, wind turbines, pedal power bicycle generators, hydroelectric generator, and thermo-electric generating as well as any kind of DC battery charging or output monitoring. This sensor uses a RS232 Communication serial port DB9 (9 Pin connector). Older computers have a RS232 serial port, but newer ones do not. Safe and Secure WattsVIEW Full Installation. Data logging and data reporting, log files are created one per day per sensor, tab delimited text. (2) You are a system designer integrating the WattsVIEW power monitor along with other components such as PLCs, Arduino, and other types of embedded communication and control devices. If your computer does not have a serial port, then you should purchase the WattsVIEW USB version which plugs directly into a USB port on your computer. Or if you want to use this model, you will need to purchase your own USB to RS232 adapter. Order a USB to Serial Adapter like one of the units shown HERE. Be sure to select a USB to Serial adapter that is advertised to work with your particular operating system. NOTE: If you want to measure a very low amount of current, you can loop the wire through the hall effect sensor multiple times to increase the strength and resolution of the sensor. For instance, looping the current carrying wire through the sensor 10 times will make the current signal 10x stronger! Follow these basic steps to set it up. (1) Mount the DC-10,000W power monitor by screwing it down with 4 screws through the corner mounting holes. (2) Route the wire that you want to monitor for current through the DC-10,000W current sensor. (3) Get some light gauge wire between size 18 to 26 AWG. (4) Connect the wire from the green connector to your energy source. (Solar panel, wind turbine, bike generator, etc.) (5) Install the WattsVIEW software on your windows computer using the download instructions or installation disk. (6) Connect the serial cable from the power monitor to your computer (7) Launch the WattsVIEW software and select the com port that is hooked up to your power monitor. 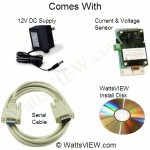 NOTE: This DC power monitor is a low cost monitor for Volts, Amps, and Watts. It is calibrated to within 2% accuracy and should be used indication only. 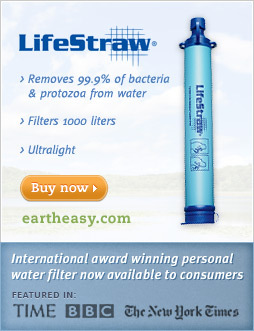 SAMPLING RATE: Takes 16 readings every 1 seconds and gives you an average from those 16 readings.